. 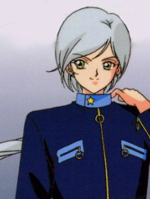 : Lunar Palace v.5 - Japanese: Sailor Star Healer :. Dislikes: Love letters, because he can't believe them. The fans don't know their true figures so how can they say they like them. He also dislikes Cultural Clubs.